The camera features accelerated autofocus performance, so even by having a contrast based system the camera locks AF quickly under poor lighting condition as little as 0.07 seconds, the fast AF system works in both still and video mode. More details available at the press release. 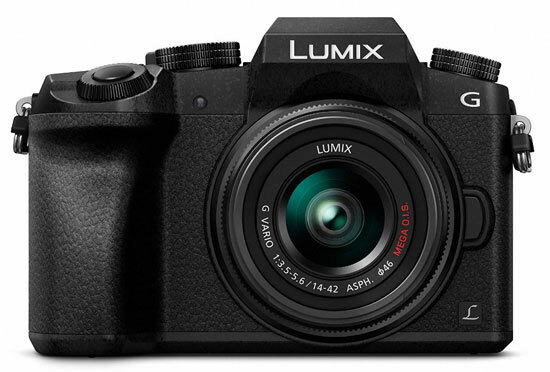 NEWARK, NJ (August 1, 2013) – Panasonic is pleased to announce a new addition of LUMIX G Digital Single Lens Mirrorless (DSLM) Camera, the DMC-GX7, featuring high photographic performance and a sleek design which incorporates a tiltable LVF (Live View Finder). Dressed in magnesium alloy full diecast frame in black and silver the new LUMIX GX7 allows photographers to change their viewing perspective with a newly integrated 90-degree tiltable LVF. The new LVF features 2764K-dot high resolution and 100% color reproduction based on a Field Sequential Color Accuracy method**. This 16:9 Wide Screen LVF boasts approx.1.39x / 0.7x (35mm camera equiv.) magnification and 100% field of view. The tiltable LVF offers extraordinary angle of view with unique shooting style – looking down into the viewfinder to level the camera straight on the subject. It comes with an Eye Sensor that automatically turns ON/OFF according to the photographer’s action. The Eye Sensor AF (Auto Focus) automatically begins to focus when a user looks into the LVF, so no shooting opportunity is missed. An Eye Cup, DMW-EC1GU, made of elastic material is sold separately to enhance comfort in viewing either with the naked eye or glasses. Panasonic developed a new 16.00-megapixel Digital Live MOS Sensor for LUMIX GX7 that achieves both high resolution and high sensitivity image recording with minimum noise by utilizing cutting-edge Semiconductor Fine Technology to improve color saturation by approx. 10% and a redesigned on-chip lens that enhances light condensation to achieve approx.10% higher sensitivity. Noise generation is minimized in both pixel circuit and digital signal readout circuit for better S/N ratio by approx. 25% and detail reproduction by approx.10% compared to the LUMIX DMC-GX1, making it possible to capture clear images even in low lit situations. The image processor Venus Engine features advanced noise reduction systems, including Multi-process NR (Noise Reduction) and Detail Reproduction Filter Process, which enhances the limit resolution. The combination of the digital Live MOS Sensor and the Venus Engine achieves max. ISO 25,600.